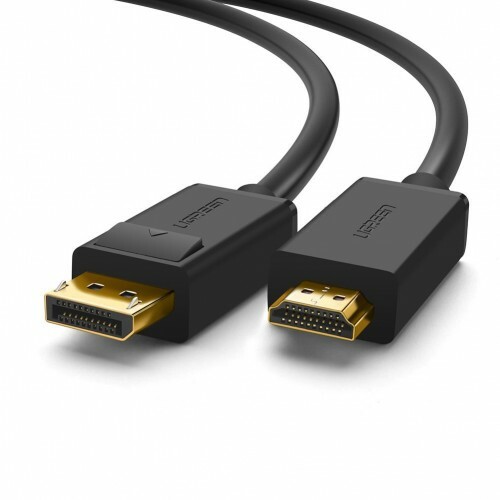 UGREEN DP male to HDMI male cable 2M supports 1920*1080,28AWG OD7.3MM and apply 2M version 1.2. 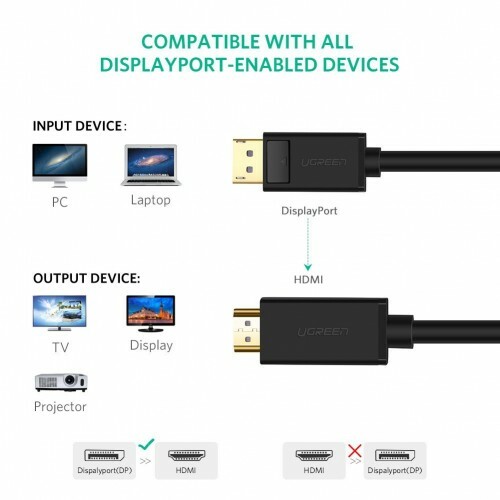 This cable enables you to connect HDMI devices e.g. a monitor, display, projector, HDTVs to your PC, Laptop or Graphic Cards with Display port interface for video and audio signal transfer. 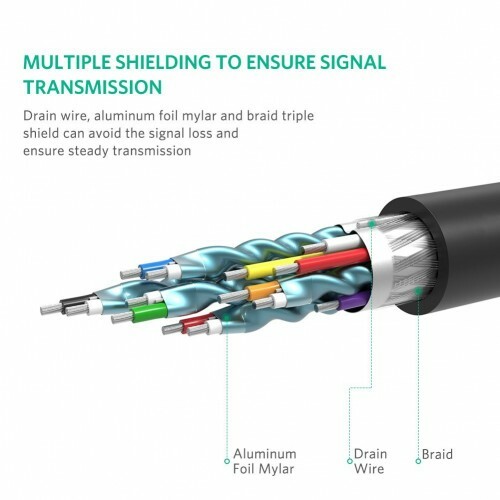 The Display port Case is made of integrated ABS and PVC material to prevent cracking, unlike other display port cases. Moreover, the small button is easier to press down to unlock the connector.